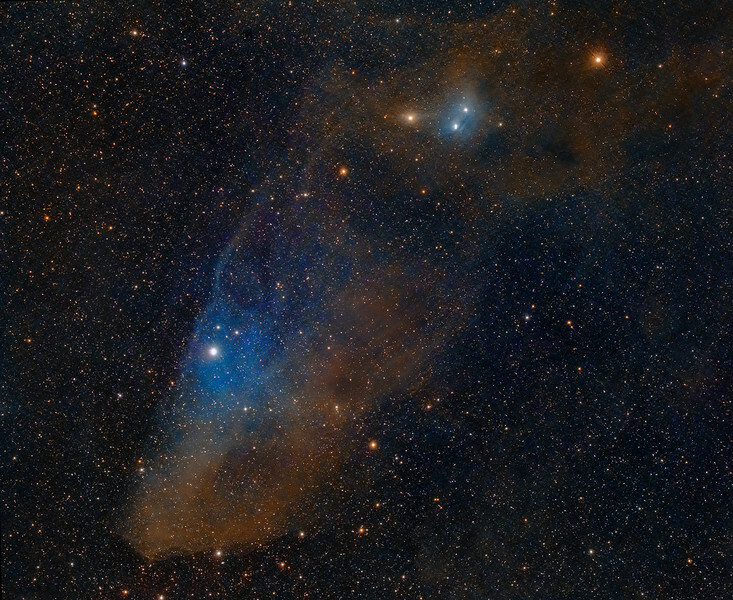 Blue Horsehead Nebula in Scorpius. Blue Horsehead reflection nebula . Combination of Canon 6d (17x5min) from June 2015 and 160 minutes of Luminance from G2-8300 Moravian CCD in June 2016. All images taken with TS 71 Imaging Star f5 telescope at WhistleStop Obs, Grafton,Ontario by Lynn Hilborn.